For Matty Burton (Considine), his upcoming defence of his newly attained WBO World Middleweight Championship title, will be his last fight. He’s an average boxer who has become champion by default, and his best years are behind him. But his pride is pushing him to take up the challenge of rising star Andre Bryte (Welsh) and despite the younger boxer’s considerable talent, hope to win the fight. The bout is a bruising, punishing encounter, and Matty endures several traumatic blows to the head. Back home after the fight, he collapses. When he wakes, his memory is impaired and his personality is changed. His wife, Emma (Whittaker), does her best to help him with his rehabilitation, but when Matty becomes prone to violent outbursts when he doesn’t get what he wants, this and an incident involving their baby daughter, Mia, prompts her to leave him, for the safety of both of them. 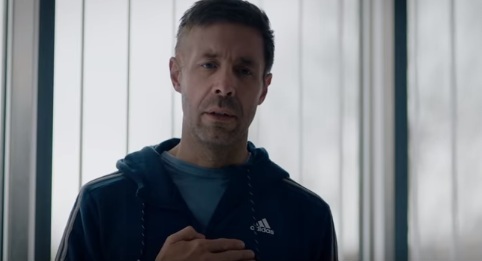 Another traumatising experience leads Matty back to the gym where his former trainers, Richie (Pitts) and Jackie (Popplewell), decide to take over his rehabilitation, and help him do enough to win Emma back – but will be able to fight back against the brain injury that has changed him so drastically…? 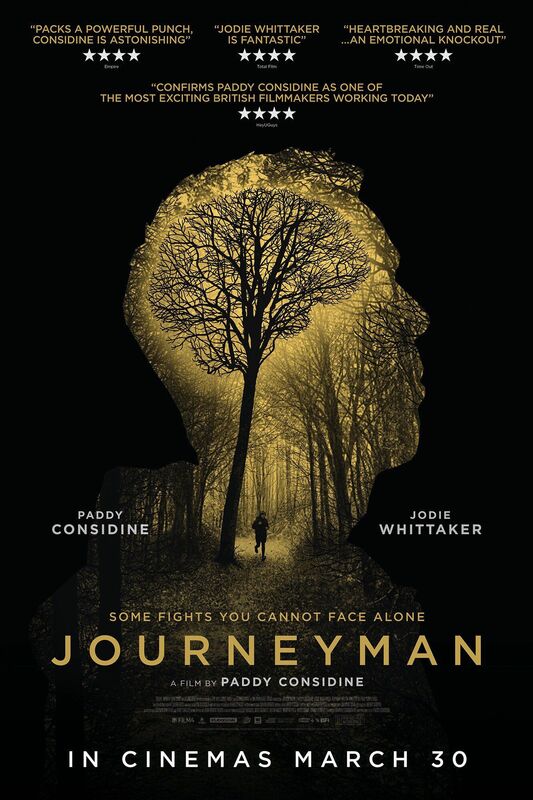 A powerful and uncompromising movie, Journeyman is Paddy Considine’s second outing as writer/director – after the equally impressive Tyrannosaur (2011) – and a showcase for his considerable talents both behind and in front of the camera. As a writer, Considine has a knack for keeping dialogue to a minimum while still allowing his characters to express so much of how they’re feeling. Here, the challenge is to ensure that Matty, despite his memory loss and personality change, is still fundamentally the same man, and Considine achieves this by the slow reveal of key phrases from pre-injury moments that show a mind in turmoil, but one that’s also able to lock onto those important phrases. It’s an emotional process as well, one that highlights Matty’s progress, and which gives hope for his eventual rehabilitation. As a director, Considine pays close attention to the small details that help in Matty’s recovery, such as remembering his father’s name, while also showing just how difficult it is through things such as Matty leaving tea bags in people’s drinks. He never romanticises Matty’s struggle, either, keeping the drama of his situation entirely credible, and the pitfalls and setbacks he experiences are often heart-rending. But it’s Considine’s work as an actor that is the most impressive here. As Matty, he gives a tour-de-force portrayal of a proud man brought low by a traumatic experience, and the problems he faces in regaining everything he’s lost. It’s an unsentimental, sobering performance, flecked with moments of quiet yet affecting pathos and unsparing emotional simplicity. You can sense the pain behind Matty’s seemingly vacant gaze, and the depth of that pain. Considine is in a class of his own, wringing every last piece of poignancy and heartfelt regret from Matty’s journey back to himself. Alongside him, Whittaker – in what is effectively a secondary role – is a worried presence as Emma, anxious enough before the fight, and then increasingly so afterwards as her marriage begins to implode, and it becomes clear there’s nothing she can do in the short term to stop it. The future Doctor Who has perhaps the less “difficult” role, but Considine is such an unselfish actor that Whittaker is given the room to make Emma an equally integral part of Matty’s story. If there’s one moment of mild controversy it’s when Considine lets boxing off the hook for Matty’s injury – would he have sustained it otherwise? – but otherwise this is a fiercely intelligent, tough, and demanding movie that, thankfully, doesn’t pull its punches. 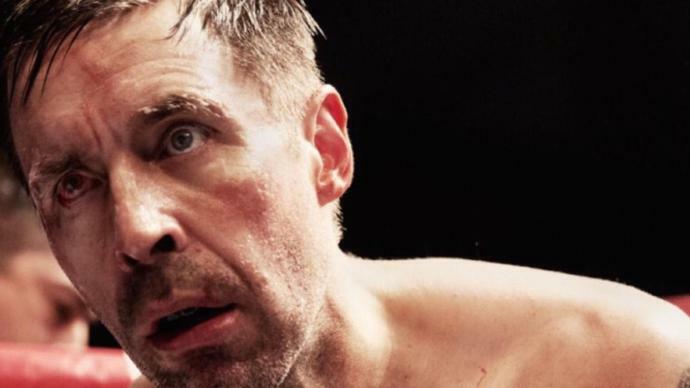 Rating: 9/10 – a sincere and credible story told incredibly well by its writer/director/star, Journeyman lands knockout after knockout in its unflinching tale of a boxer’s struggle to reboot his life; Considine’s performance is simply astonishing, and is the beating heart of a movie that packs an emotional wallop over and over again.